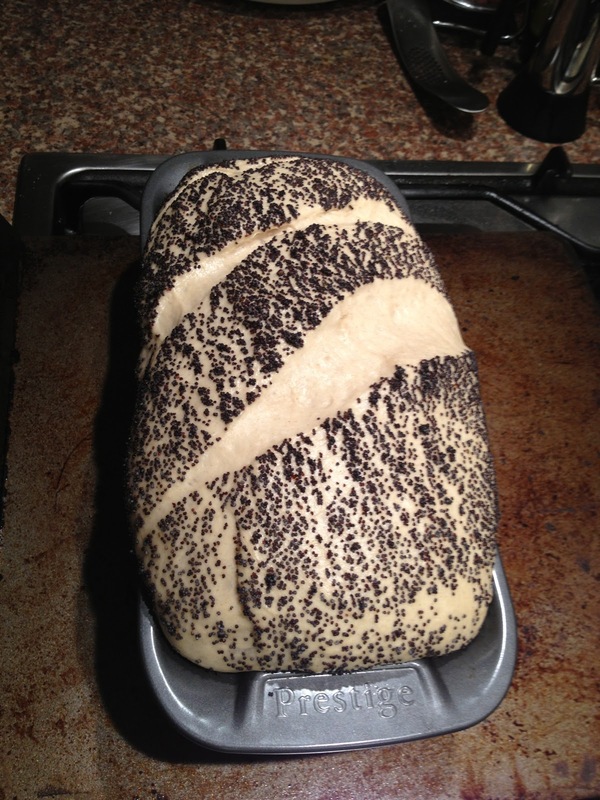 Have you been watching Paul Hollywood's new series on BBC2 (Mondays, 8:30pm) called 'Bread'? 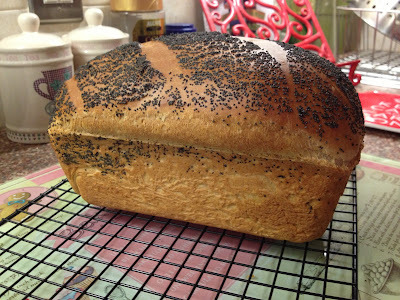 I don't need much of an excuse to tune into a programme starring Mr Hollywood, as I have a rather large crush on the dishy silver-fox, and luckily husband likes him too and is an avid bread baker. 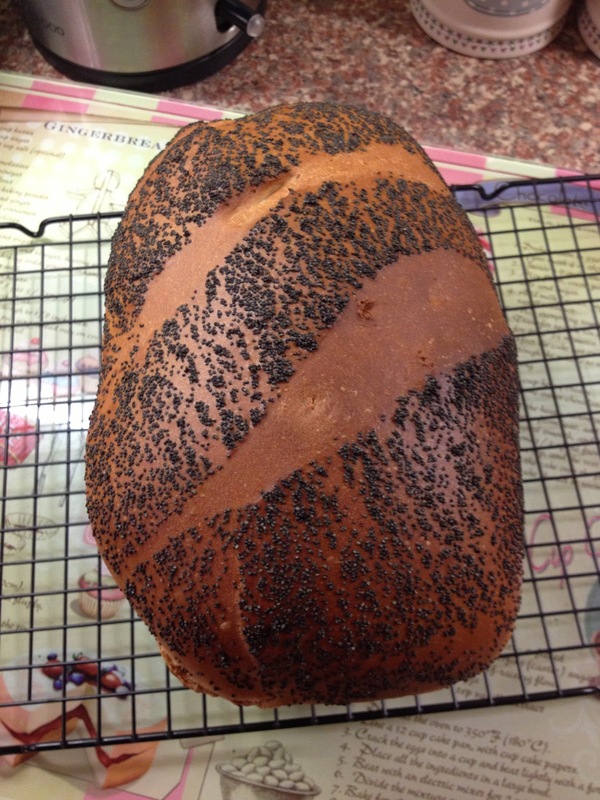 I have always told myself that I don't have the patience for bread baking, but if anyone was going to persuade me at trying my hand at a fresh loaf, then it was going to be Mr Hollywood. 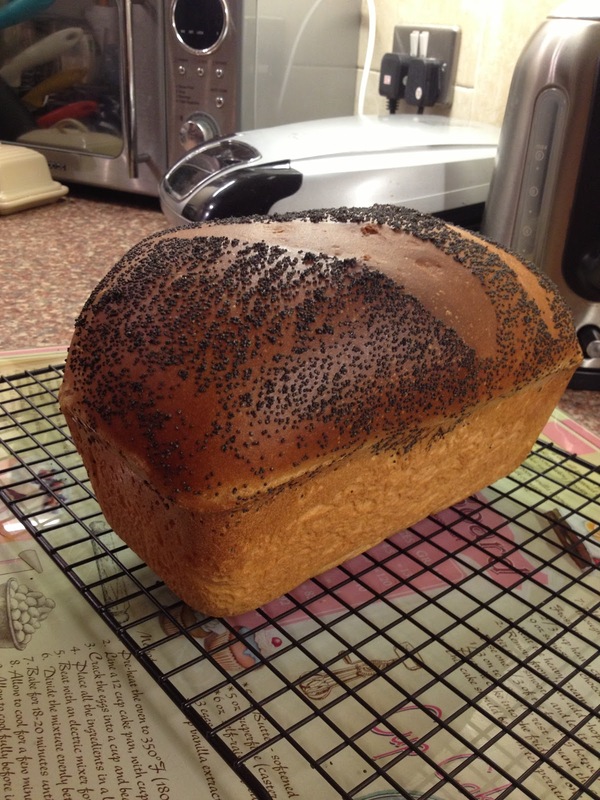 My husband Liam has tried making a variety of homemade breads (very successfully) including: white and brown loaves, pretzels, pitta breads, iced buns and tear 'n' share loaves. Whereas I tend to stick to baking with more 'instant' results. On Sunday night hubby and I wanted something to do, and he suggested I try baking a loaf, and that he would help guide me. 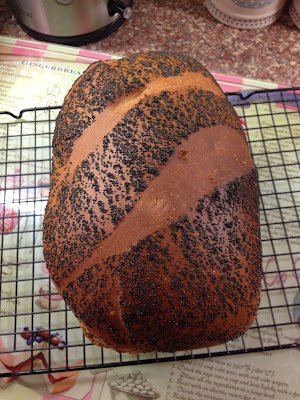 We had the ingredients, we had the time, and finally (thanks to Mr Hollywood and my husband) I now had the inclination. It was actually really very simple, and fun. The downside is that, yes, there's a lot of waiting around for the bread to prove, but we watched a film while we waited - so at least there's enough time to do something of substance (house chores/bubble bath/put the kids to bed/watch a film/read etc). 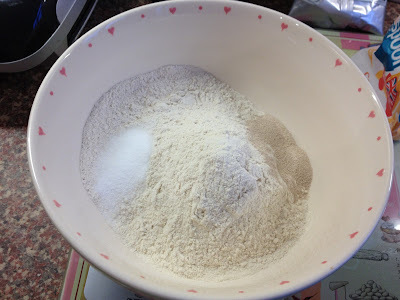 Place the dry ingredients in a bowl, taking care not to have the salt and yeast touching. Add the oil and 240ml/9fl oz of water. 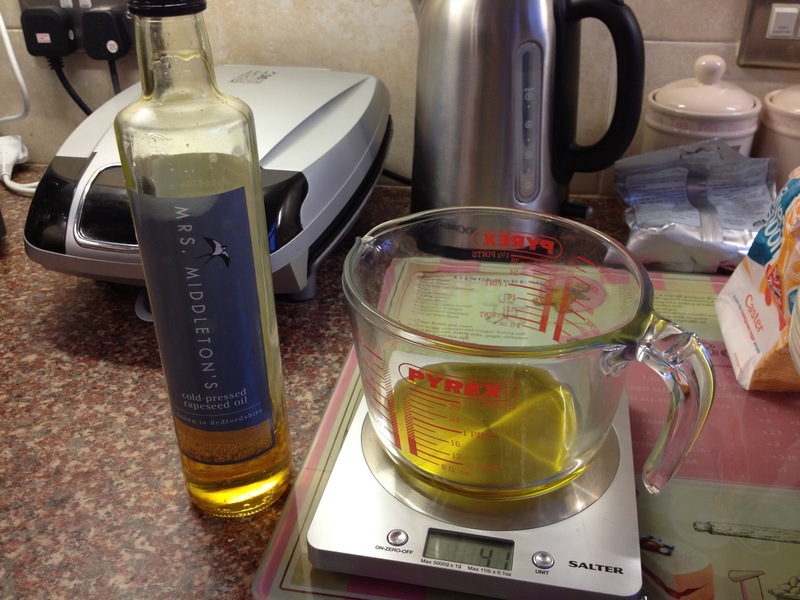 Pour a little oil onto a clean work surface. 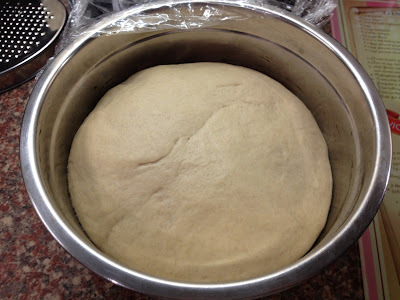 Sit the dough on the oil and begin to knead. 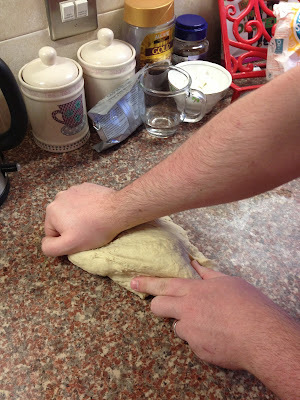 Do this for 5-10 minutes, or until the dough becomes smooth and silky. 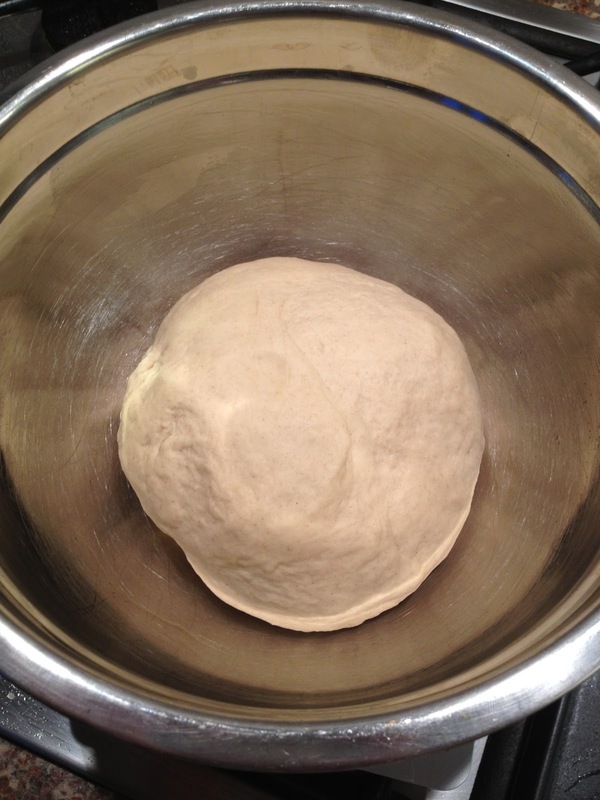 Once the correct consistency is achieved, place the dough into a clean, oiled bowl. Cover with cling film and leave in a warm place until tripled in size. 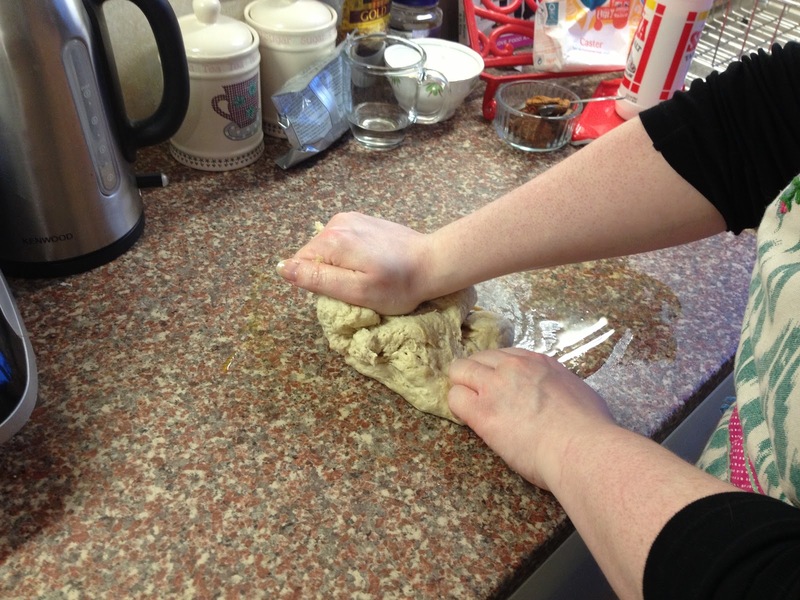 Once risen, place the dough onto a floured surface. 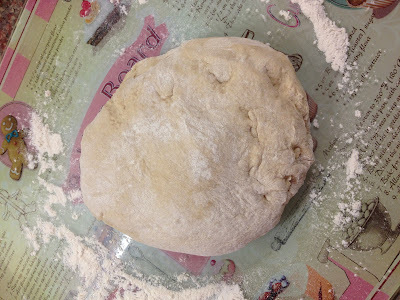 Knock the dough back by folding it in on itself repeatedly. Do this until all the air is knocked out and the dough is smooth. Brush top of loaf with egg wash, and dip into poppy seeds. Slash top of loaf with sharp knife. 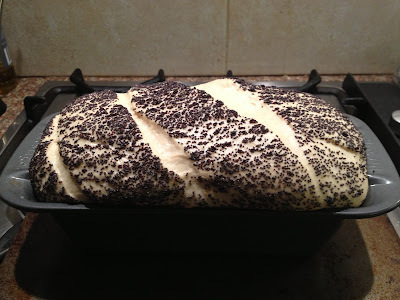 Place on a tray lined with parchment paper, or in an oiled loaf tin, cover and leave to prove for 1-2 hours at room temperature, or until doubled in size. Preheat the oven to 220/425F/Gas 7. Place the loaf on the middle shelf and bake for 20 minutes. After this time lower the heat to 200C/400F/Gas 6 and bake for a further 10 minutes. 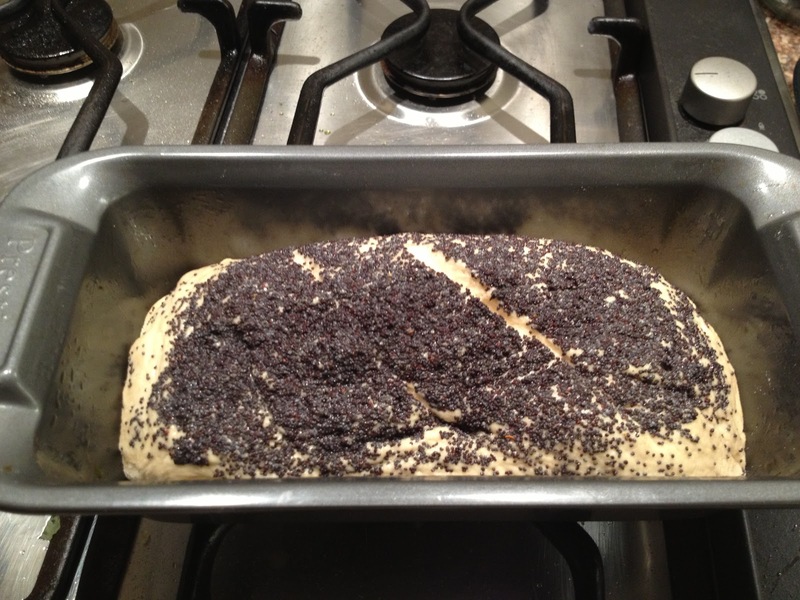 Remove from the oven and leave to cool on a wire rack. pretty good for a first attempt! 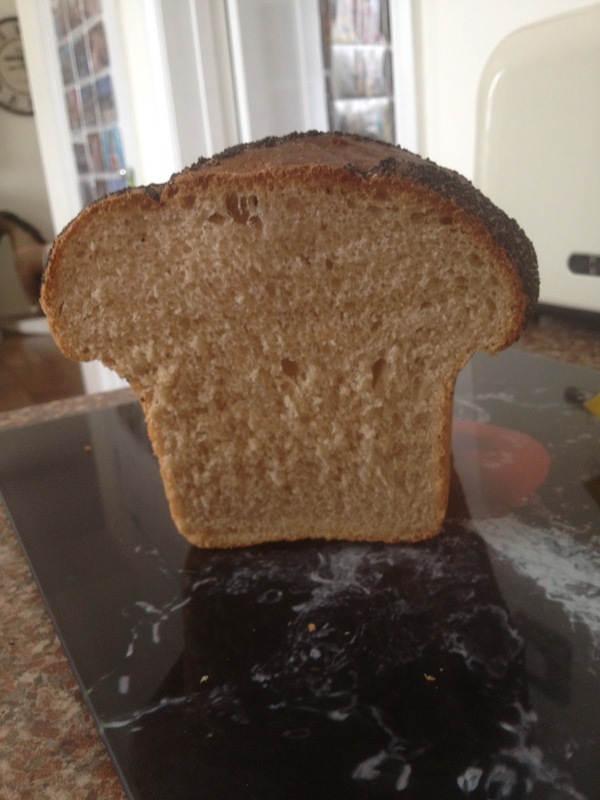 I was pleased as punch with this loaf. The hardest part of this recipe was waiting until the next morning to tuck in (apparently the bread is at its best once you've left it to completely cool). 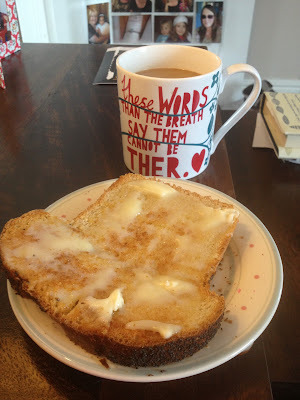 The whole house was filled with the unbeatable smell of freshly baked bread, and I went to bed really excited about my breakfast! 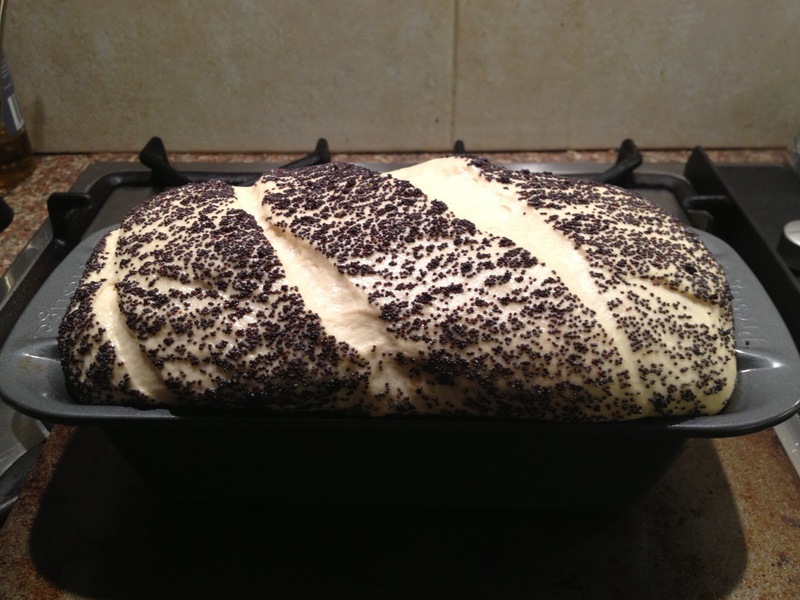 Have any of you got your bake on this week? Any bread connoisseurs out there? I watched 'Bread' again on monday night - this weeks episode was all about flatbreads, and I'd definitely like to give the pitta bread a try. Hubby has made them very successfully before - and they go very well with my signature dish 'Lamb Kleftiko and Greek Salad' - roll on the proper summer weather so it can become a dinnertime regular again!